Prior to the 1978-79 academic year, the International Council of Fine Arts Deans was administered by a Chair serving a one-year term. Frances Bartlett Kinne, Ph.D, was the first female President of ICFAD, and the lone female member for many years. We are told that she may have been the first female Arts Dean, as well! A book she authored, The President Wears a Skirt, features a photograph of her receiving kisses on both cheeks from Bob Hope and Jack Benny. In addition to being a pioneer, she is charming and delightful. 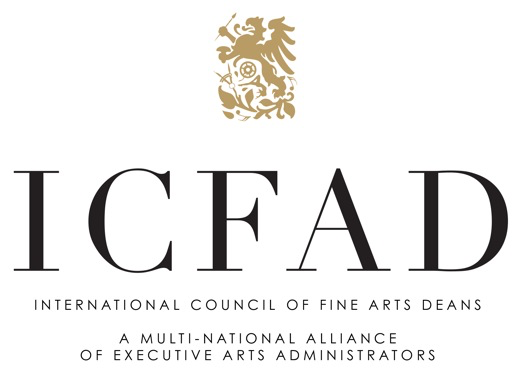 We hope you enjoy this video greeting to members of the International Council of Fine Arts Deans.